Peers, Parents, and Principals: A Systemic, Ethics Based Approach to Helping Teens Succeed, Monday, 4-8-19 (Live Webinar) « CE You! Journey through a day in the life of today’s teens with Dr. Steven Levey. Participants will explore the ethical considerations when promoting self-determination with teenage clients, the environmental factors experienced in school versus home, and navigating conflicts that may arise when all the various systems meet each other; as well as building tools and insights to help teens succeed. Dr. Steven Levey, LCSW, PhD holds a Master of Social work and PhD in Social Welfare from Wurzweiler school of Social Work, as well as a Bachelor of Psychology from the University of Cincinnati. He brings extensive experience working with youth and families in school as well as foster care settings. 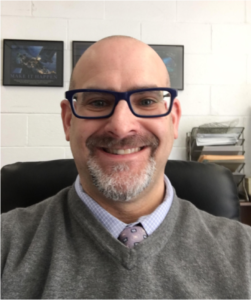 The Director of a counseling program serving students in grades 7-12, Dr. Levey also conducts workshops for school staff as well as parents, spanning a variety of topics including drug and alcohol education, bullying, communication skills and more.